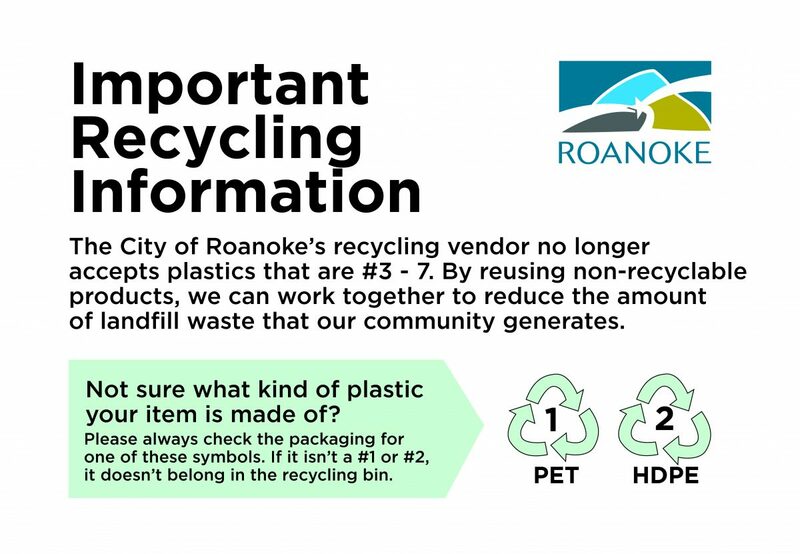 Our partners in Roanoke are helping us get the word out about recycling. As we’ve reported, the recycling world is changing and cracking down on the non-recyclable products that end up in the blue bins. 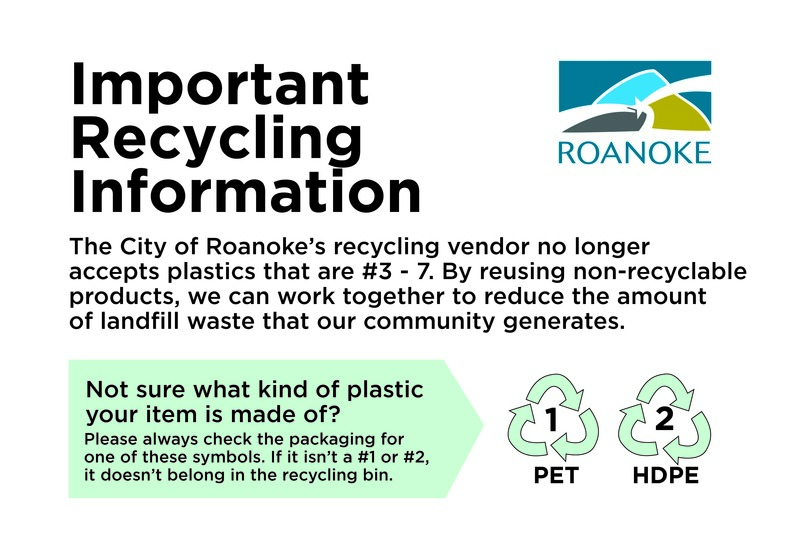 Here’s a quick graphic of a postcard put out recently by the City of Roanoke. Please remember only plastics #1 and #2 are acceptable. Thank you for your help. Any questions, please contact Roanoke City or us directly at RDS.